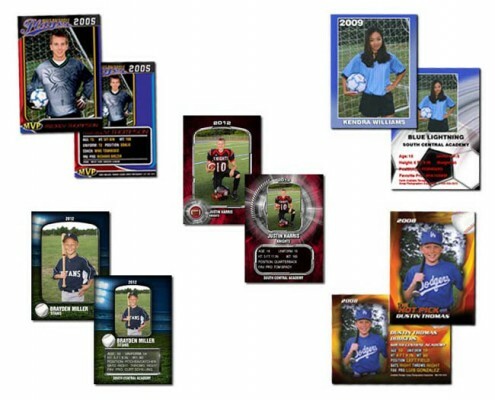 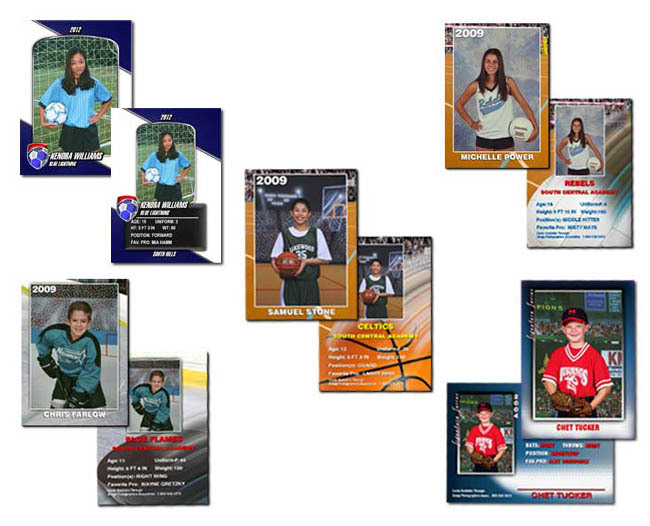 Our Trading Cards are offered in several cool and innovative designs, a cut above the rest. These trading cards are double sided and will make each player a real star. Each card includes lots of information about the athlete. 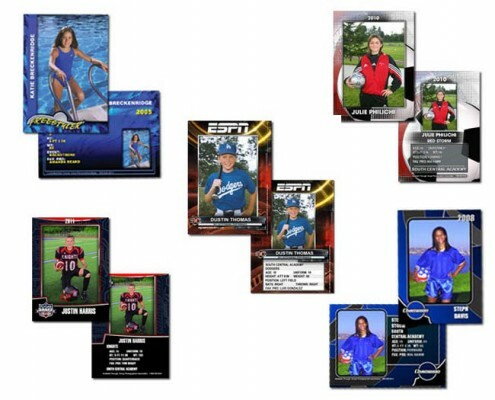 *Available for Baseball, Basketball, Cheer, Football, Hockey, Soccer, Softball, Volleyball, Generic, and more.